Thoughts on Bet's Original Movie 'Gun Hill' (Starring Larenz Tate, Emayatzy Corinealdi) After Last Night's Debut? Anita: Do you know what we call bikers in the ER? Organ donors! The days of Harley-Davidsons mastering the road are over. Nowadays color and plastic coat the fastest and most coveted motorcycles in the land, and `Biker Boyz' heralds the passing with unrestrained glee. Set among African-American biker clubs in Southern California, the film follows Kid (Derek Luke), a prodigious young motorcycle racer, in his quest for the title of `King of Cali,' currently held by Smoke (Lawrence Fishburne), leader of the Black Knights bike club. Smoke hesitates in accepting Kid's challenges, citing that Kid is not a member of a legitimate club. In one scene, Kid addresses Smoke's assistant with anger and frustration: `Are you racing? Or are you just blowin' smoke?' Kid begins his own club (the aptly named `Biker Boyz') and sets out for the crown of fastest biker. The rest of the film follows a sort of formula we have seen before, with the underdog taking on the inhumanly skilled antagonist at the end. Though the plot is weak, the talent both onscreen and off push the film into something the script alone could not hold. The actors, for the most part, excel in their respective roles. 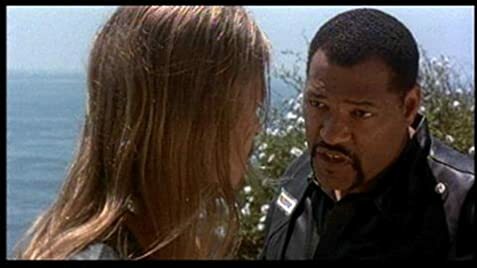 Fishburne turns what may have been a trivial role into one exuding sincerity and masculinity, holding to an effectively pensive and reserved demeanor. His presence on the screen legitimizes the film as not just another `Days of Thunder.' 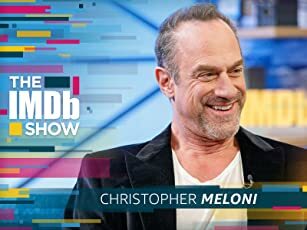 Fishburne's charisma must have extended to the rest of the cast, as even Kid Rock, who made his film debut in 2001's deplorable `Joe Dirt,' portrays his character with gusto and road-wise scruffiness. Director Reggie Rock Bythewood makes his presence felt in the film. Bythewood made a splash at Sundance a few years ago with his debut `Dancing in September.' With `Biker Boyz,' he manages to pull off something slightly extraordinary: he makes motorcycle racing entertaining. The camera freewheels around smoking tires, colorful racing suits and bouncing nightclubs with dizzying ease. His film is loosely based on a feature from the Los Angeles New Times on the biking subculture in California, and Bythewood tries to bring a sense of biker culture to the screen. The nonfiction foundation of the film shines through, displaying a bizarre sense of camaraderie between cyclists similar to that of a fraternal order. Despite its basically inane premise, the movie is not all bad. The poor title and plot outline summons memories of `Rollerball' and the like, but do not be deceived. 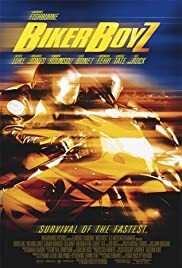 `Biker Boyz' inspires some sense of genuine excitement and intrigue. As entertainment, it works on the same level as last year's `Spider-Man.' It cannot be praised as a piece of art, but the craftsmanship of the film is undeniable, which grants it a begrudged recommendation.